Lynn-Rose is an IB World School which recognizes each student’s particular way of learning. We select teachers who are flexible and varied in their teaching methods and timelines. This flexibility in programming will allow students to achieve the expected outcomes in a manner conducive to their learning styles. At Lynn-Rose, your child's progress is very carefully monitored. Our school is duly inspected by the Ontario Ministry of Education and follows guidelines for Junior Kindergarten to Grade 12. A formal written Progress Report is provided three times per year. Also, the classroom teacher will discuss your child's development through parent/teacher conferences and monthly telephone calls with you. 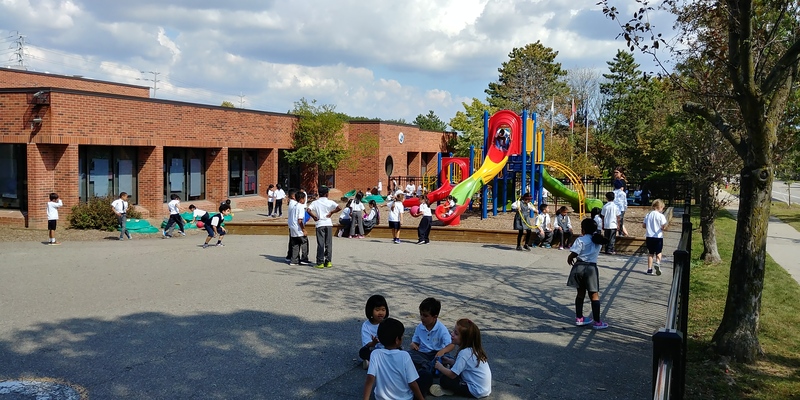 At Lynn-Rose, we align our signature Advanced Study Programme within the framework of the International Baccalaureate, thereby providing a truly unique and comprehensive learning experience in the Greater Toronto Area. The Lynn-Rose Heights Primary Years Programme (PYP) is the foundation your child needs in order to maximize their potential growth moving forward. With a skilled team of active and versatile faculty, your child will gain the academic base necessary too succeed in an IB curriculum, the self-confidence required to advocate for themselves within that environment and the self-awareness to understand how they learn best within the classroom. We are based in Mississauga, ON. Contact us today for more details. The Lynn-Rose Heights Primary Years Programme (PYP) is the foundation your child needs to maximize their potential growth. With the benefit of an active and versatile faculty, your child will gain the academic skills necessary to succeed in an IB curriculum, the self-confidence required to advocate for themselves within that environment, and the self-awareness to understand how they learn best within the classroom. We are based in Mississauga, ON. Contact us today for more details. The quality of education provided to Lynn-Rose Heights IB World School students will afford them a strong head-start in the academic world. They will build upon a platform of success garnered through the IB program at our international school in Mississauga, ON. Not only will our students create strong academic foundations for themselves, but they will also develop into well-rounded individuals who are strong socially and emotionally. The IB curriculum follows a global standard to expose students to a select range of subject groups which range from language and literature to individuals and societies to science and math. Students benefit and grow by facing a challenging, and rewarding, experience in the classroom and out with their peers and educators. In a world that sometimes promotes group think and a “follow the herd” mentality, IB students become independent thinkers who take the time to question and investigate to find the real answers while exploring the issues fully. The international baccalaureate curriculum is noted for providing students with a thorough preparation for any academic path they choose. Students in the PYP and MYP are known to outperform students in similar age-groups at traditional schools, while DP students are ready to make the eventual leap to university. Contact us today to set your student on the path to academic and social success. We proudly serve families in Mississauga, ON, and the surrounding area.